Here’s where Netgalley is not necessarily beneficial to the books it is supposed to promote. The copy I received of this book (in exchange for an honest review, thank you) seemed as though it was sent to me right in the middle of a transition between the present tense and the past, with sentence after sentence after sentence either using the present or both. There are grammatical issues throughout as well. But since the book has been published I was able to take a look at it in Google Books – and it has all been ironed out. How much the many, many errors present in what was, after all, an uncorrected proof affected my feelings about the book, I don’t know; it made it a lot harder and less enjoyable to read than it might have been. The writing was, despite everything, readable. It’s a fascinating story, so it would be remarkable if this wasn’t readable. It’s a story of endurance, of unbelievable resilience and resourcefulness in the middle of inconceivable horrors. Stories of underground resistance work are irresistible – small groups of indefatigables outsmarting and frustrating a large and dangerous (and possibly evil) enemy. The underdog. It’s a giant raised middle finger to an occupying force – and it can be awesome. Literally. But I’m not sure this particular story wasn’t done a disservice by more than an error-riddled proof. Part of it is that there is a surprising amount of uncertainty about some aspects. Well, it’s probably not so surprising, given early and mid-twentieth-century record-keeping and the upheaval of the War that details of marriages and divorces and travel and employment are in question. Also, the primary sources for the book were the journals of the women the title refers to, and therefore there’s just a little bit of bias; these women might not have been entirely accurate, or honest, in their writing. It is somewhat detrimental to the fibre of the tale for parts of it to be questioned, or questionable. Case in point: “Claire clutched a bridal bouquet of freshly picked white hibiscus, and dozens of fireflies provided the only light for the ceremony.” I have never been prone to dreaming of weddings, but that – that would be the wedding I might dream about. There may have been a faint fluttery sigh involved. Problem is … it might not have ever happened. Or it might not have happened just like that. It might have been high noon with a single carnation. There’s no real way to know. The Bataan Death March is almost a cliché. I’ve used it – that time I had to go for training to a major company and had to walk for literally damn close to a mile to get to the training room? 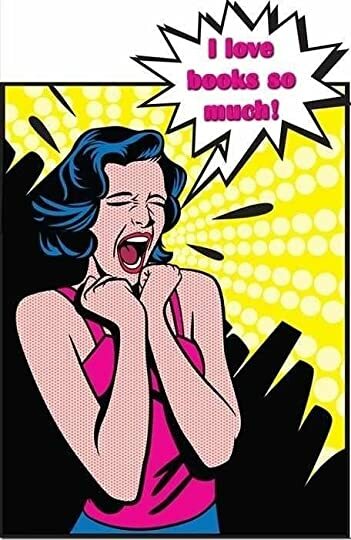 I know I muttered a few things then. I was shaken when I found out what the reality was. And it was horrifying to learn more details here. So much of it was horrifying. Treatment of American and Philippine prisoners was shocking. It’s a clear-cut good guys/bad guys situation, in that whatever individual personalities might have been, the good and the evil were obvious. There’s a touch of “Hogan’s Heroes” to it all. And the segments set in the besieged nightclub should be a movie. What I found sad – besides the basic fact of the depths of cruelty and viciousness people are capable of – goes back to the reliability issue. I didn’t expect the women at the heart of this story to literally be the angels of the title, but I found it a little depressing that the book opens after the war, with two of the women on a ship. And it’s ugly. Who is lying, and why – to enhance one’s reputation as a heroine? As a pathological uncontrollable behavior? That introduction cast a pall on all the rest of the book. So. American and Philippine prisoners were routinely tortured, starved, raped, and summarily executed by the Japanese. The men of the Japanese army, indoctrinated into a mindset in which allowing oneself to be taken prisoner was indication of a lack of honor, believed that there was no way they would lose the War. What I would very much like to see now is an unvarnished account of how Americans (and Brits, and other Allies) treated German and Japanese prisoners – because I’m assuming that Bushido or no Bushido there were Japanese prisoners. And they must have been a psychological mess. I want to know we did better. I really don’t want to know that we didn’t. 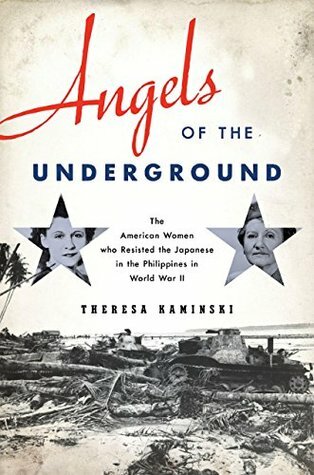 This entry was posted in books, history, non-fiction and tagged Angels of the Underground, NetGalley, Philippines, POWs, resistance, Theresa Kaminski, underground, WWII. Bookmark the permalink.